As much as I wish I was on a beach, I’m still tucked up in bed, blowing my nose and coughing… Still, we’re visiting one of the best beaches at the end of the year, which is something to look forward to. Also with Australian Summer Time officially (finally!) starting at the weekend, we’ll soon be decamping to the beach here in Melbourne as often as we can with Peanut. 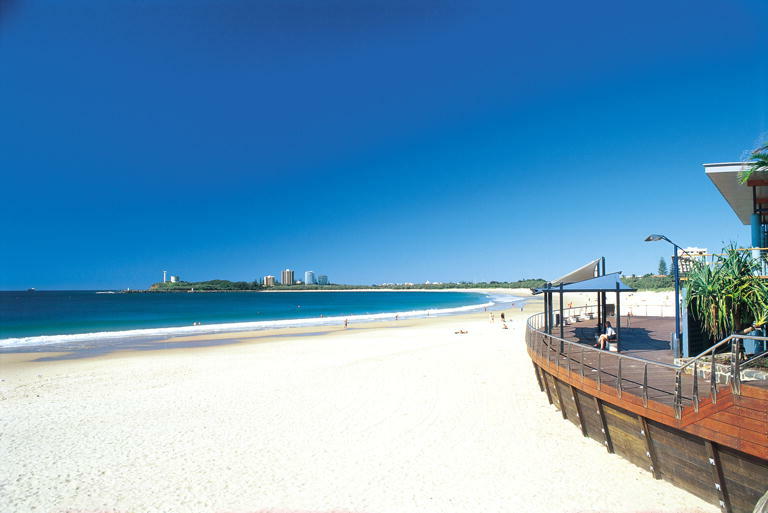 Here is my Ten on Tuesday, for Things To Do At The Beach, this beach in question is Mooloolaba beach, 10 minutes drive from the in-laws house in QLD. It’s also where Hubs and I spent a week on our first trip to Oz together. He had planned the whole trip, I only had to turn up, so Mooloolaba will remain a special place for me. Read a book (of course) and relax. Watch children frolic and play with the sand and the waves, oblivious of time and TV. Squidge the sand between my toes, one of my all time top best things to do ever. Go for a walk first thing in the morning before it gets too hot, watching all the mad people go jogging and watching the surfers try to catch a wave before they head into work. Walk hand in hand as the sun sets with my husband. Watch my son squeal with joy at the waves washing over him. Swim in the warm water. Have dinner with the in-laws in the evening, we pack up a picnic and people watch. Sometimes we can watch the moon rise too, if we time our visit right. Most wonderfully, the whole beach-front gets flood-lit in the evening, as the sun sets around 6pm, which takes some getting used to. It does mean the children can carry on playing right up till their bedtime. However, the sun does rise before 5am, which takes a lot more getting used to with a very early (and loud) dawn chorus. Forget about anything else except just being on a beach on a warm summers day.